Connected Wisdom: Living Stories About Living Systems gathers twelve stories from different cultures that each reveal a unique example of a "living system." Through them, Linda Booth Sweeney shows that what we now call systems thinking has been around for a very long time. A Balinese folktale tells the story of a gecko who cannot sleep because of the sparks from a firefly. He traces the cause of his complaint from one animal to another to the mosquitoes he depends on for his survival. Like this gecko, young readers will understand that all life is inter-related, and will be able to grasp the concept of the living system of "interdependence." In a Burmese folktale, a king spills a drop of honey on his windowsill, too little to bother cleaning up. Yet the drop draws a fly, which attracts a lizard, which is followed by a cat, then a dog, and the owners of the cat and the dog, each armed with a stick. When civil war erupts, the king and readers understand the living system of "linearity," in which an effect is disproportionate to its cause. Clear and simple notes accompany these and the other stories in Connected Wisdom. Says Sweeney, "If kids understand living systems, they're more likely to think and act in informed ways and less likely to jump to blame a single cause for the challenges they encounter. As kids appreciate and learn about living systems, they see that connections in nature, people, problems and events bind us all." 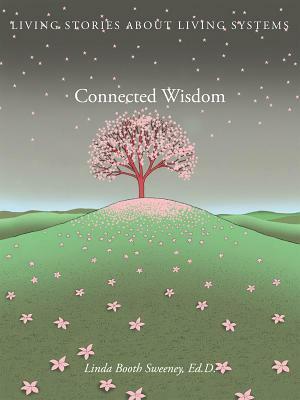 Connected Wisdom is a large-format, full-color volume that is as suitable for gift-giving as it is for classrooms and libraries.